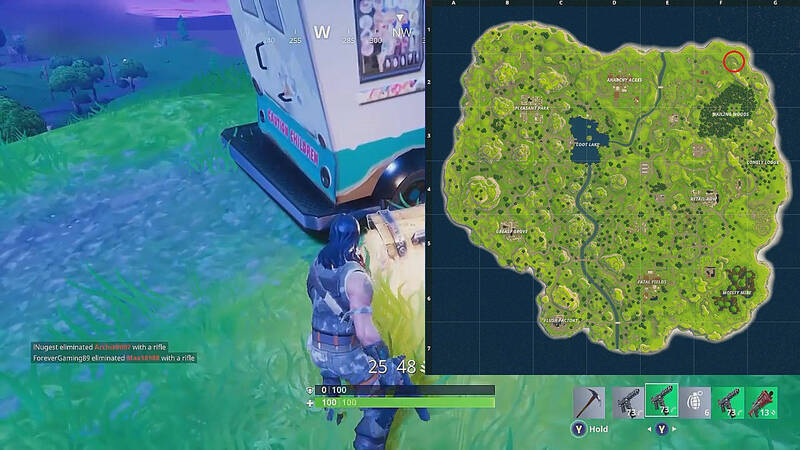 The next location you definitely need to check out is the ice-cream truck that spawns just a notch above the wooden tower (the previous loot location). It spawns in the upper part of the F2 block on the map. Usually, there is always one chest full of goodies right near the truck. But at times, an additional chest will appear on top of the truck, so don't forget to check for that one as well. After that, go down the hill and raid the two houses for some additional ammo that is hidden under the stairs.